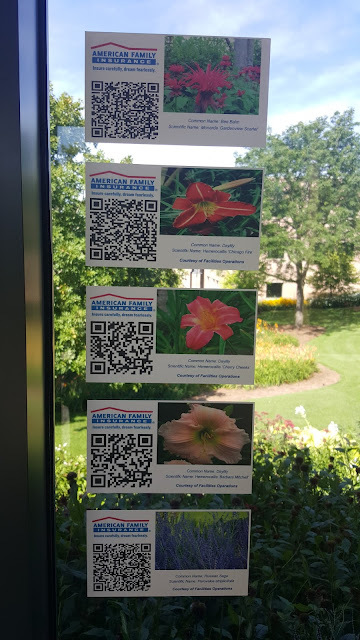 There are a few corridors at work that have wonderfully large windows overlooking lush gardens with flowers, shrubs and trees. 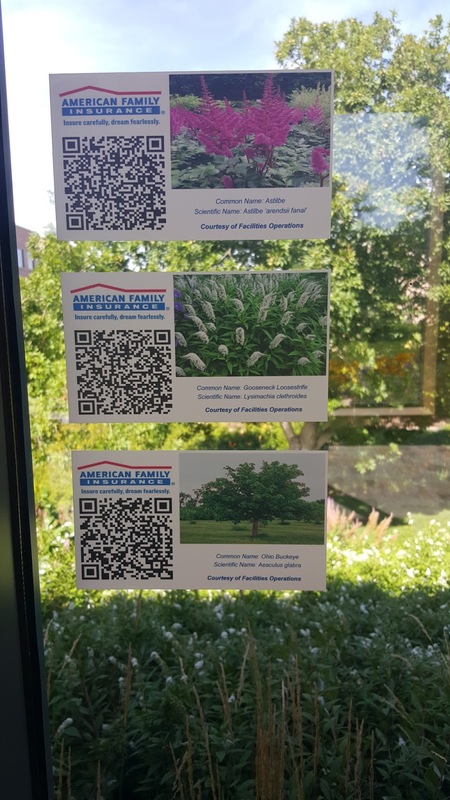 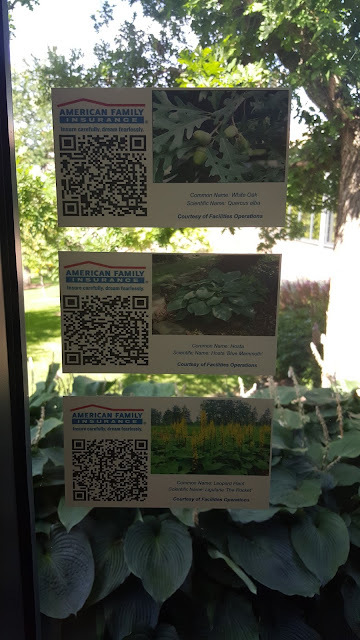 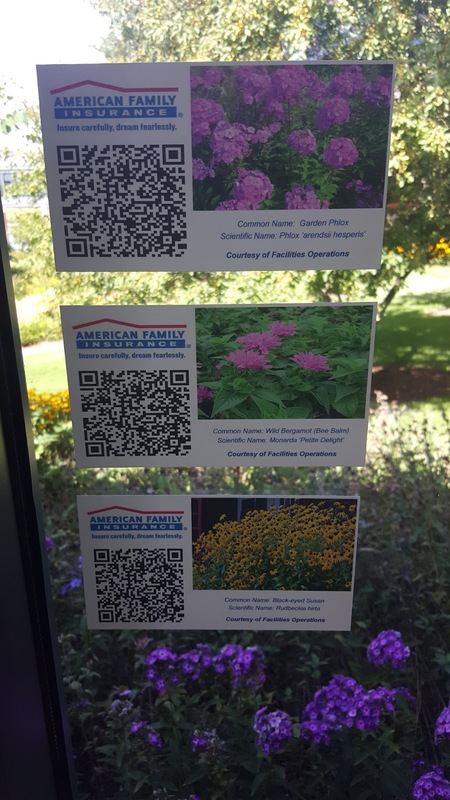 I was walking through one of them today and discovered new signs, stuck on the windows, just in front of each type of plant. 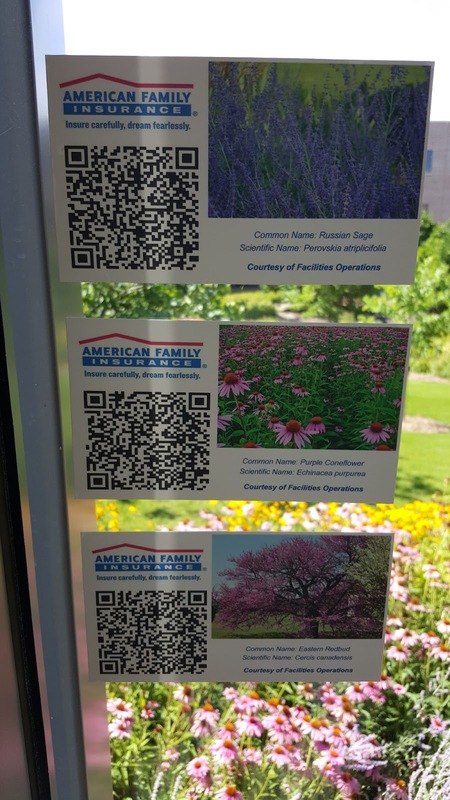 AND, they have QR codes if someone wanted to learn more about what they saw. Here's what it looks like walking past the plants and signs. Neat idea and nice use of mobile technology.